Conservatives and libertarians believe strongly in property rights and contracts. We also believe that businesses should compete on a level playing field without government tipping the scales for anyone. So, it should be clear that the principled position for conservatives and libertarians is to oppose the DMCA anti-circumvention provisions that arguably prohibit cell phone unlocking. Indeed it’s no surprise that it is conservatives and libertarians—former RSC staffer Derek Khanna and Rep. Jason Chaffetz (R–Utah)—who are leading the charge to reform the laws. If you have paid for your mobile device, it’s yours, and you should be able to do with it whatever you want. That’s the definition of property rights. 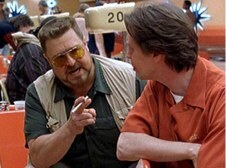 If I buy a bowling ball at one bowling alley, I don’t need anyone’s permission to use it in another alley. It’s mine. Here comes the caveat, though. I don’t need anyone’s permission unless I have entered into an agreement to the contrary. If I got a great discount on my bowling ball in exchange for a promise that for the next two years I’d only use it at Donny’s Bowling Alley, then I am bound to that contract and I can’t very well go off and use it at Walter’s Alley. But once those two years are up, the ball is mine alone and I can do with it whatever I want. Again, that’s the definition of property, and the same should be true for cell phones or any other device. So how is it that after you have paid for a phone, and you no longer have a contractual obligation with a carrier, that they can still prevent you from using it on another network? The answer is that they are manipulating copyright law to gain an unfair advantage. For one thing, it’s a bit of a farce. In theory the DMCA’s anti-circumvention provisions exist to protect copyrighted works by making it illegal to circumvent a digital lock that limits access to a creative work. That kind of makes sense when it comes to, say, music that is wrapped in DRM (and indeed the DMCA was targeted at piracy). But what is the creative work that is being protected in cell phones? It’s not clear there is any, but ostensibly it’s the phone’s baseband firmware. It doesn’t pass the laugh test to say that Americans are clamoring to unlock their phones in order to pirate the firmware. No, Americans don’t want to pirate firmware. They simply want to use their phones as they see fit and carriers and phone makers are misusing the DMCA to make out-of-contract and bought-and-paid-for phones less valuable. That’s bad enough, but what should really upset conservatives and libertarians is that they are employing the power of the state to gain this unfair advantage. If I use my bowling ball at Walter’s Alley while I’m still under contract to Donny’s, the only remedy available to Donny is to sue me for breach. If he was smart, Donny probably included an “early termination” clause in the contract that spelled out the damages. What Donny can’t do is call the police and have me arrested, nor will he have access to outsized statutory damages. Yet that’s what the DMCA affords device makers and carriers. They are using the power of the state to deny the property rights of others and to secure for themselves rights they could not get through contract law. If Congress acts to fix this mess, it should not limit itself to just a narrow provision that exempts cell phone unlocking from the DMCA. In fact, this is an opportunity for conservatives and libertarians in Congress to act on principle and propose a comprehensive fix to the DMCA in the name of respecting property rights. I for one would love to see that challenge put the President. Finally, it should be made clear that contrary to what some folks are suggesting, by involving the FCC the White House is not endorsing a “Carterfone for wireless”—the idea that carriers should not be allowed to limit how consumers can use their devices, even through contract. The White House response was quite clear that agreements that bind consumers to a particular carrier should still be allowed. And it makes perfect sense. This past fourth quarter, you … had really one thing happen that never happened before, especially with Verizon Wireless, and that was for the first time ever, because of the iPhone 5 launch, we had the 4 at free. So it was the first time ever you could get a free iPhone on the Verizon Wireless network. A free iPhone is a great deal for consumers who can’t or don’t want to pay for the $450 device up front. The only way carriers can make these offers is in exchange for a promise from the consumer to stay with the carrier for a fixed amount of time and to pay a penalty if they don’t. That’s a win-win-win for the consumer, the carrier and the phone maker—and it’s possible just with the contract law we know and love.